Let me preface my observations with the following remark I made in the Colombo Telegraph on May 27, 2014. “For himself, MR has managed to keep his head above water, except by the self-seeking move to extend his term of office and to politicize the Independent Commissions, not to mention the impeachment of the CJ. The loss of faith caused by these misadventures has begun to rock the boat and eat into the stock of goodwill for the Government. The ‘Single Issue Candidate Movement’ is the direct outcome of these indiscretions and the indications are that the turf is going to be murkier as time passes, making it impossible to defeat a well-organized united team. A case of, “Vaulting ambition, which o’erleaps itself. And falls on th’ other”. I was the Chairman of the Southern Development Authority, resident in Matara, around the turn of the century. A leading member of the UNP, a personal friend of mine, who had come on some business to Matara paid a visit to me and I invited him to lunch. At the lunch, my friend was complaining about the failures of the Chairman of his Party, Ranil Wickramasingha (RW), who was losing elections repeatedly. “If so, why don’t you get rid of him?” I asked. At the time of that remark, I did not pay much heed to it. But sixteen years later, I keep wondering whether there was some substance in the Prophesy I heard of in Matara. Despite all his setbacks, RW has batted on against all protests and rivalries, inevitably retaining his primacy by hook or by crook and has now become the second citizen for a second term. Will he vindicate the astrologer one day? I first saw RW when he was attending a Cabinet meeting at which I made a presentation as Chairman of the Steel Corporation. RW was so impressed with what he saw that he made repeated attempts to have me under his Ministry. Genuine appreciation of efficiency and all-out effort to protect the efficient has been a hallmark of RW’s management strategy which has in return caused problems for him on the rebound, as reaffirmed by recent events. My last job before I joined the legal profession was as Chairman, Leather Corporation placed under RW as Minister of Industries. While I was holding that post, I had to go to India for a heart procedure and on my return, I met RW to share with him what I personally thought was an adventure. Half way through the exposition, I looked up from the cardiographs at the Minister to find him looking at a picture on the wall. In retrospect, I realize that it was immature on my part to tax a minister’s time with gossip. But if I did the same to MR, I am sure he would have reacted to it with visible emotion. A good part of the popularity MR has built up for himself is based on his sensitivity to the environment, genuine or otherwise, – a quality that is indispensable for a politician. RW’s initial setbacks arose mostly from his aloofness and cynicism. He was known as a man who did not know how to smile. On the other hand his artificial attempts to ingratiate himself with the people ended up with jokes like offering chewing gum and bracelets to the youth. RW could not suffer fools. He was sceptical about ultra-nationalism, a predilection that distanced him from the racists. By now, however, RW has come a long way from his salad days, may be after specialist attention. He wears a friendly smile and merges with the environment. Apparently, he has read widely in the meantime and familiarized himself with an extensive body of knowledge, especially the essential teachings of the Buddha Dhamma as evidenced by his frequent references to that source. His detractors can no longer fault him on his speech but he has yet to understand the dichotomy between Democracy and Sanity. In real life Sanity is an inadvertent attribute to the majority. Democracy is theoretically the rule of the majority. But what the majority wants is not always the best choice, as Aristotle and Jesus would confirm. That contradiction disrupts the best choice of the ruler. RW’s biggest problem arises from his anxiety to offer the ideal to a people the majority of whom want something less. A shrewd Democrat does not attempt to shove what he believes to be the best down the throats of his reluctant people. He holds back the best and progressively educates his people to accept the best in due time. It is tolerance and compromise that bridges the gulf between Democracy and Sanity until the ideal is achieved. They are the cogwheels that keeps Democracy from cracking up. The other cause for RW’s current problems appears to stem mainly from a carryover from his basic values. One such predilections is his loyalty to his friends, an extension of the ‘school tie syndrome’. That tendency was manifest in the ‘No Confidence Motion’ against the FM. Although the debate was won on sheer numbers, the Opposition succeeded in sending its message to the people through it. Next came the issue of removing the sitting Governor of the Central Bank. Here again RW would not let down his trusted lieutenant, despite relentless pressures from his own side. Before matters came to a head, something happened suddenly and we saw a new Governor emerging, cutting the Gordian knot of the confrontation. RW had come of age to realize that Democracy could not produce a perfect result but it could be manoeuvred to obtain an optimum. The solution did not cause embarrassment to the incumbent. An impartial inquiry was to be held into the matter and the official was to be moved to a suitable appointment, when exculpated. Upholding his self-respect, the sitting Governor himself resolved to stand by until the matter was resolved. Compromise had worked at its best to save Democracy, opening a new vista of Governance. It was not a sell-out but an amicable settlement. It is tolerance that paves the way to compromise. RW appears to have realized the effectiveness of this remedy in the latest crisis confronting the Government, the VAT imbroglio. True to form, he initially stood firm on the decision to impose the tax. He went to the extent of wanting to sidestep the SC decision on the issue through a controversial process of retrospective legislation. Not only would that move have led to a chaotic legal tussle but also it would have added fuel to the regional protests that were building up all over the island. That uproar could have led to a second ‘Hartal’ that could topple a coalition-based Government. All this risk to obstinately uphold a process faulted by the SC! Moreover the expected return from this dangerous operation was to retain a comparatively negligible income the collection of which could lead to a crisis in public accounting, while legitimate avenues were available to recover that money retroactively. Postponement of the VAT debate suggests that wiser counsel has prevailed and RW has learnt another lesson from a pragmatic Democrat’s Case Book. These developments indicate that RW can win over the conventional Democrats opposed to him through his newfound strategies on a ‘one step back – two steps forward’ process. The antique left is too far archived to resist his progress and the new left appears to be failing to get its act together, despite their honesty and dedication. Perhaps they may consolidate themselves in alliance with the minorities someday but RW is already there with his liberal approach to reconciliation and reintegration polices. In contrast, the main opposition is losing its impact due to internal squabbles. Its gains are hindered externally by the incessant legal procedures against its heroes. Fortunately for them, the Government has made the prosecutions a matter of public ridicule due to their delay, disarray and exhibitionism. However, if it succeeds in organizing its legal initiatives through an efficient, equitable and transparent process, the problems of the United Opposition are bound to explode. Unfortunately that explosion is likely to put an end to the careers of a few honest Turks working for the Group. 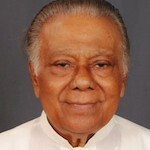 However, the biggest problem of the SLFP would be the current President’s wise decision not to seek re-election. Who will replace him at the next election, in a team riddled by strife and threatened by legal impeachment with no standout candidate to fit the role? 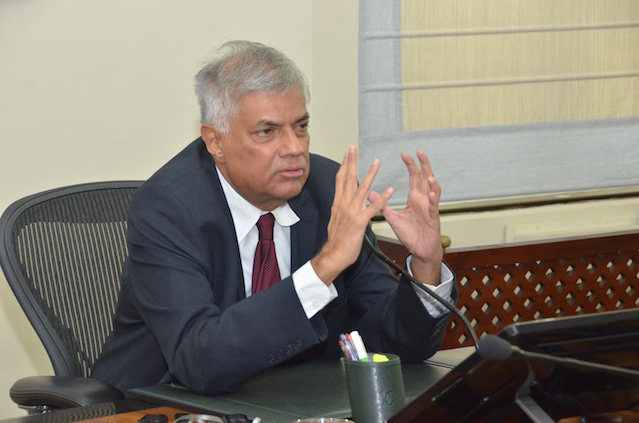 All these vicissitudes of the SLFP would accrue to the benefit of the UNP. In that scenario, all temporary immigrants in that Party will become permanent residents and the influx from the House on Fire will together form a genuine National Government for the first time, supplemented by the newly liberalized rebels from the Minorities. Naturally, the invincible, ‘Permanent Leader’ of the largest Party will head the Alliance. As I keep analysing these developments and setbacks objectively, from my armchair, in my old age, the ‘Matara Prophesy’ keeps flashing in my mind.